For decades those pesky raccoons have been sneaking about at night, digging through our trash cans and generally making a mess of things. It's time the game reviewers of the internet strike back. To Raccoon City! It may sound like a nice place to live and cuddle, but like the furry fiends themselves, Raccoon City is only cute from a distance. Get too close and it turns on you, teeth bared and hissing. You run, terrified at the sudden transformation, and when you finally return the only trace of the once adorable animal's passing is a game console clogged with malodorous droppings. 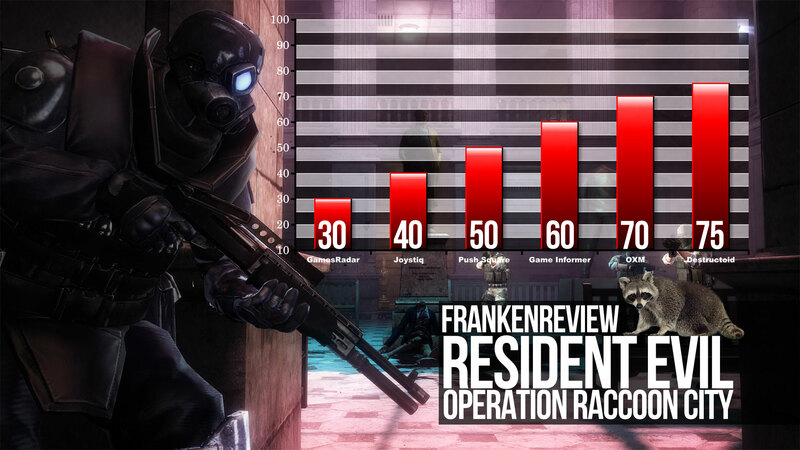 Aren't you glad Evan reviewed Resident Evil: Operation Raccoon City instead of me now? It would have been paragraph after paragraph of fun facts about our furry friends. Did you know raccoon hand washing is really a way for the creatures to thin the sensitive membrane covering their paws to better detect the good bits of the food they scavenge? See? I'm completely out of control. Luckily there's a whole internet filled with video game critics that are not me, and this is what they thought of Resident Evil: Operation Raccoon City. 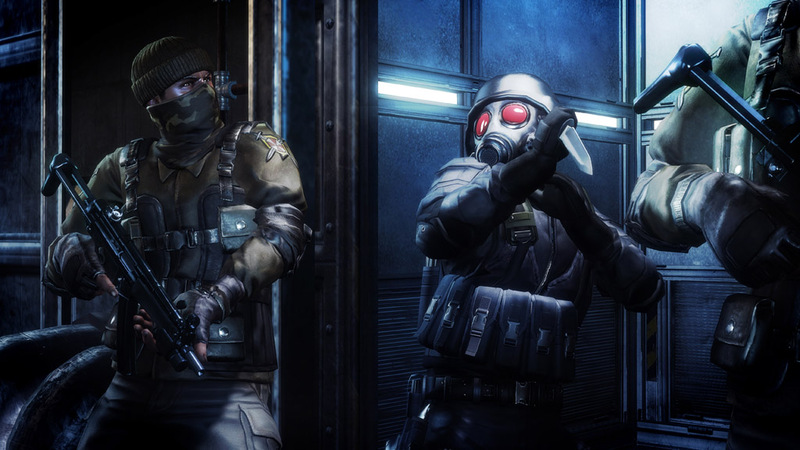 When news of Resident Evil: Operation Raccoon City trickled out, gamers were justifiably excited. After all, who wouldn't want to play a four player, class-based co-op shooter set in the much-beloved Resident Evil universe? 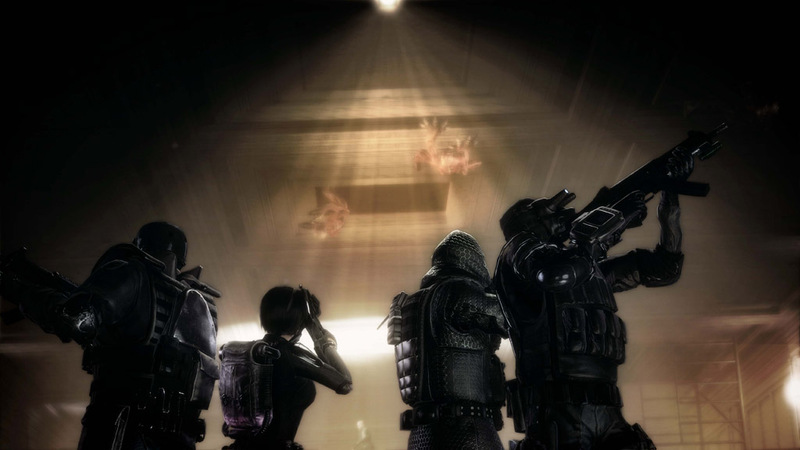 The potential for something special was present from the start, and many figured it would be akin to Left 4 Dead for the BioHazard set. Sadly, this isn't the case. 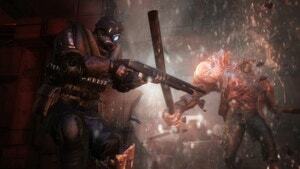 Not only is Raccoon City not in the same league as Left 4 Dead, it's not even a decent Resident Evil game. Resident Evil: Operation Raccoon City opens with your squad infiltrating Umbrella's laboratory in Raccoon City, a location reused a few times throughout the seven-mission campaign, which spans roughly five hours. Each leather-clad Umbrella operative sounds off with a one-liner, after which series staple Hunk offers a quick, raspy-voiced bit of exposition to get the player up to speed. The only problem is, if you've never played Resident Evil 2, you're not going to have any idea what these people are talking about or what the hell they're doing. For newcomers, there's not even an explanation of what Umbrella is. 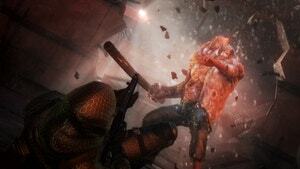 Raccoon City is under siege by the undead, and Umbrella, the company behind the outbreak, wants to clean up the mess. On the other side are government-issued Spec Ops troops trying to coordinate a rescue and ascertain exactly what caused the contagion. Throughout the campaign, your Umbrella Delta squad is sent to key locations to hide behind filing cabinets to shoot zombies, soldiers and an inexplicably abundant remote mine population. I can't say I've ever heard of a city hall locking up at night by placing laser trip-mines in its records room, but it appears to be protocol in Raccoon City. Things don't improve when it comes to combat. The cover system is loose, activated by simply walking into walls, boxes, etc. ; when you need it most it might not activate, forcing you to back up and try again. Basic aiming and shooting is perfectly fine, but when the bullets reach their targets there's no feedback - enemies are so unresponsive to your projectiles that it's tough to work out if you're hitting them or not, unless they're flying backwards after being met with an exploding grenade. The issue goes both ways: often you can't tell if you're taking damage yourself, leading to surprising, frustrating deaths that seem to come from nowhere. The only indication of downed allies are small icons that don't catch the eye; quick time events are advertised through the same means. 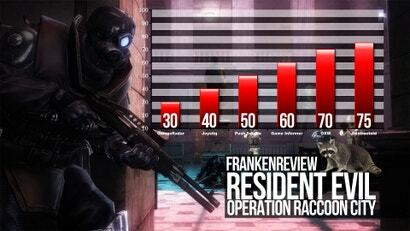 At times Operation Raccoon City is unnecessarily unfair. Go face to rotting face with bigger foes such as a Tyrant and you'll naturally be smacked about with a vicious melee attack. If you're unfortunate enough to be in a tight spot, though, they'll trap you and continue the beat down relentlessly, leaving you no chance to escape and regroup. Their attack animation is shorter than your recovery — just as you've nearly clambered to your feet, they've already reconnected their fist to your helpless head. On smaller enemies this can be exploited by you too: it's possible to slash them endlessly with knife strikes until they're killed all over again. You might as well make use of this as opponents are bullet sponges, taking unreasonable amounts of punishment before they go down, which is even worse given the lack of feedback. 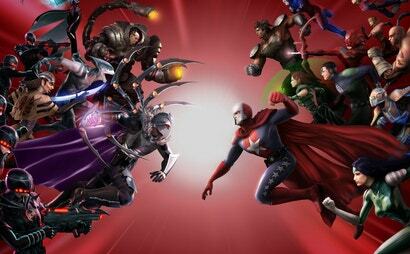 The game is only marginally improved by hopping into versus mode and replacing the mindless AI with actual humans. My favourite multiplayer mode involves blasting your way to a rescue helicopter in an attempt to secure a trip out of the doomed town. However, modes which require even an ounce of strategy, like team deathmatch or a capture-the-vial mode, fall apart due to the game's inherently chaotic environment. I found no joy losing a heated firefight because a stray zombie grabbed me, forcing me into an analogue stick-waggling quicktime escape. Some may enjoy the overwhelming bustle of the battlefield, but the entire experience just feels like a crowded mess to me. 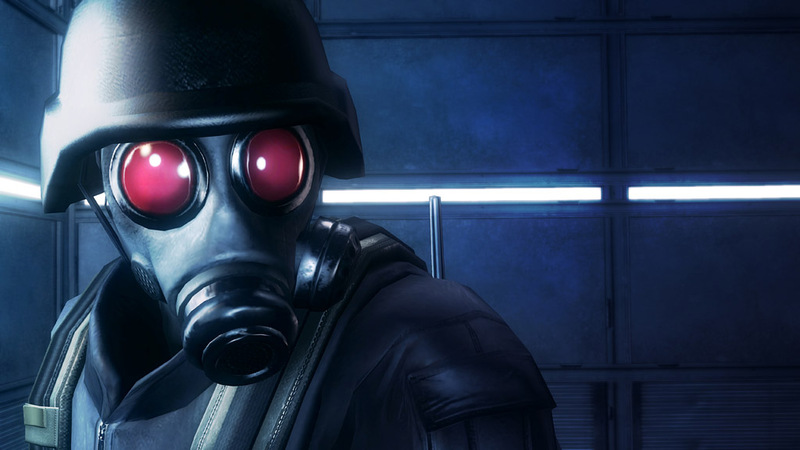 Our biggest complaint about Raccoon City is its squadmate A.I. - or lack thereof. Far too often, your dimwitted A.I. allies become a sponge for enemy bullets and thrashings, and it's incredibly frustrating having to constantly revive them. (Then again, Raccoon City is clearly meant to be played online, with other humans - not bots.) 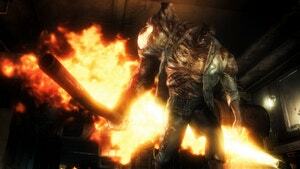 The game's environments also feel bland: though you get to explore a variety of locales - everything from laboratories and fog-enshrouded graveyards to the backalleys of Raccoon City - all of the settings have a discernable lack of personality. The campaign shouldn't take more than six or so hours to get through, though I've already found myself replaying stages just to continue levelling up and blasting Tyrants in the face. 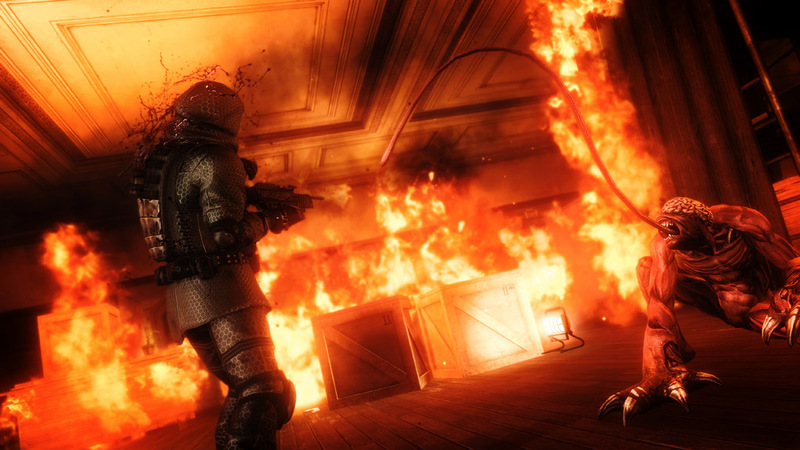 Despite its missteps, Operation Raccoon City certainly does a good job of nailing an addictive quality that keeps one coming back for more. There's a certain satisfaction in pushing a zombie back and then jamming a knife into its neck that keeps pulling me back. If you can get together with four good players who are up for having a chuckle, then the overbearing odds can become amusing in their own right, even if it does feel like the game tried to copy Left 4 Dead's hysterical intensity but took things way too far. ORC's not worth playing as a single-player experience. Put bluntly, it's a mediocre slog with annoying difficulty spikes and gets hampered by dumb AI partners through a world that's not special enough to deserve your time. And as an online-focused game, Raccoon City's got more going for it than its most direct predecessor Resident Evil Outbreak. But like that PS2-era multiplayer experiment, it's probably going to wind up as a costly curiosity that gets forgotten. 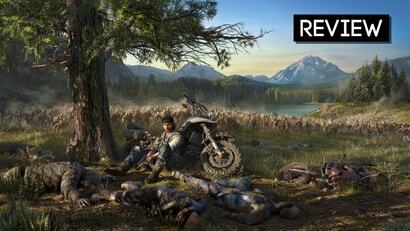 The germ of a clever multiplayer experience lies within but uninspired execution and Resident Evil fan service don't provide enough nutrients for it to grow into a virus worth caring about. so it's basically akin to the shortfalls of Brink? that game was atrocious, traded it in within a week for a full refund! 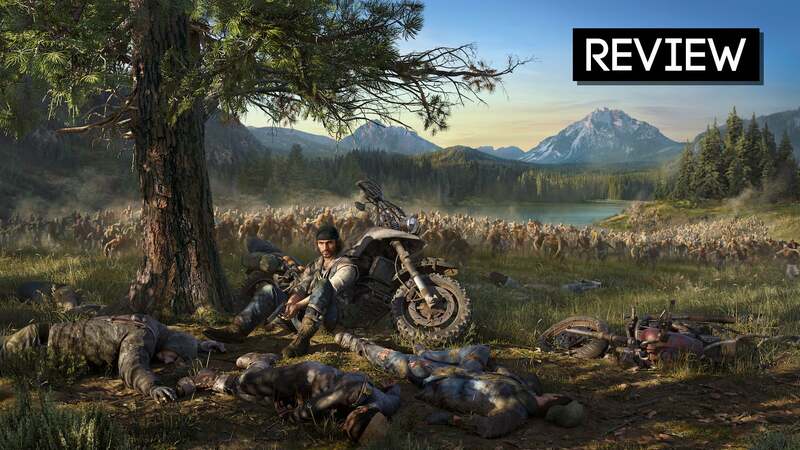 If this game is anything like it, considering the bad partner AI, I'll definitely steer clear. Isnt bad partner AI a capcom speciality if RE5 is anything to go by.If RE6 has co-op shoved down my throught I'll pass. I didn't find Brink atrocious. I think they had plenty of great ideas, they just weren't executed thoroughly. On top of having no single player in a world that should have had one! Brink was definitely a much better game than the critic world decried it to be. Oh man, Capcom hasn't been at their A game lately. I am totally hiring this from my local video store. Sounds worth at least that. Holy crap. On one end of the scale a 30 and on the other a 75. Were those two people even playing the same game? Yikes. personally I have played a build of this game and I tend to agree with those scores on the lower end of the scale, my experience with it was terrible, it's a horrible horrible game. Have you visited Destructoid's site within the last year or so? With that amount of advertising, I'm under no illusions as to why they gave it anything other than the dismal score it deserves.